Was a member of Hospital Radio between 2004 & 2006 but now I’m back!! 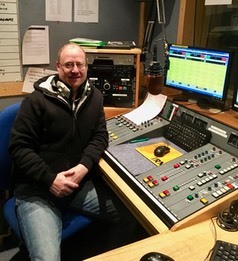 I present the Sunday morning show between 10am and 1pm on Energy and Choice with great features throughout the three hour show. Great music, your requests and a bit if fun too. I enjoy watching Maidstone United and Charlton Athletic whenever possible. I have a wide range of musical tastes but prefer the 80’s. Enjoy the show and keep requesting your favourite songs.